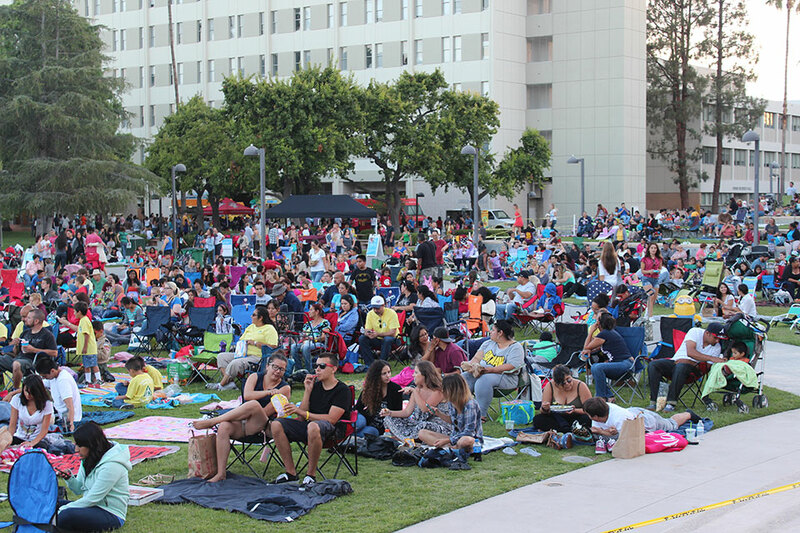 Associated Students at California State University, Northridge offers outdoor movie screenings to the CSUN community and all San Fernando Valley residents, June 4–Aug. 27. Every Thursday night at dusk, the student government will screen movies on the Oviatt Library lawn. This summer, the community can enjoy a variety of movies, such as: Clueless, The Princess Bride, The Lego Movie, The Avengers, Remember the Titans, Jurassic Park, Big Hero 6, Mary Poppins, Toy Story, Jaws, Guardians of the Galaxy, E.T. and 22 Jump Street. Summer Movie Fest also provides fun pre-movie activities such as food trucks, games, giant bounce houses and entertainment. Through the collaboration between numerous campus and community partnerships, Summer Movie Fest organizers expect larger crowds this summer. “We also partner with the San Fernando Valley Rescue Mission now, and everyone who donates food or clothing to the Mission gets entered in our weekly drawings for wonderful prizes,” Vincent said. Those attending are encouraged to bring a blanket or low lawn chair to sit on the grass. Campus parking is available for those with valid CSUN parking permits. General parking is available for $6. For additional information, visit Associated Students’ website at http://www.csun.edu/as/summer-movie-fest.